NYPD detectives LUIS (Luis Guzman) and EDDIE (Edgar Garcia) visit Paris to help a gorgeous French designer COLETTE (Alice Taglioni) catch the black market thief who’s ripped off her new handbag design. While Luis’ girlfriend VANESSA (Rosario Dawson) and Eddie’s wife GLORIA (Rosie Perez) remain in New York, the hopelessly unhip odd couple stumble through a glamorous high-fashion world brimming with charming cafes, wild nightclubs and corporate treachery. 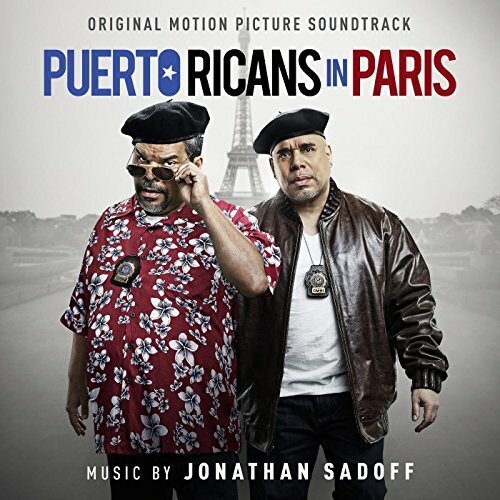 The movie soundtrack of Puerto Ricans in Paris will be released on June 17, 2016 by Back Lot Music.